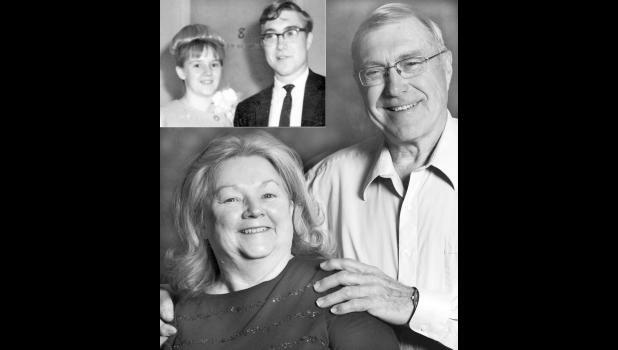 John D. Schafer Jr. and Janet L. (Stratton) Schafer of Soldier will celebrate 50 years of marriage on Tuesday, May 5. They were married on May 5, 1965 in Topeka. They have four children, John D. Schafer III of Hoyt, Gary W. Schafer and his wife, Connie, of Holton, Adam H. Schafer and his wife, Raquel, of Holton and Mixie B. Schafer of Hoyt. They also have four grandchildren, Brittney, Dalton, Hunter and Alec. John is retired from Jeffrey Energy Center, and Janet is currently employed at The Computer Doctors in Holton. John is the son of Dorothy (Knipp) Schafer of Holton and the late John D. Schafer Sr. Janet is the daughter of the late Mary (Grecian) Stratton and Alec Hunter Stratton.